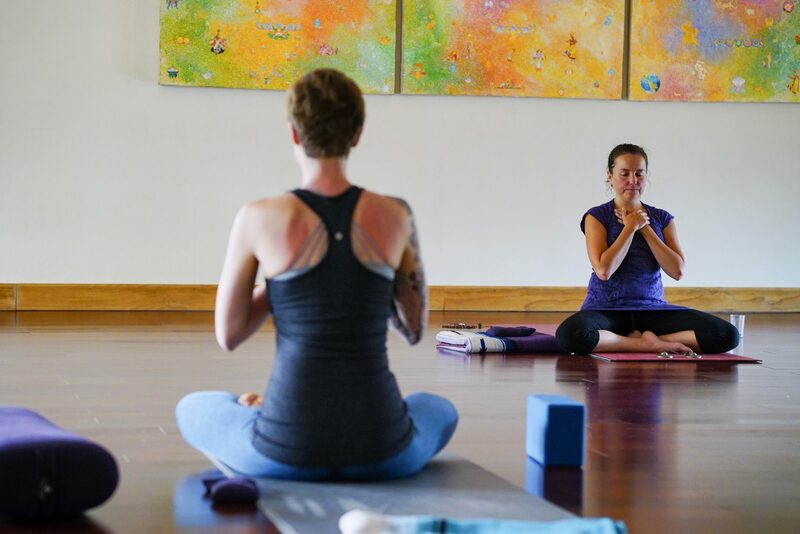 Meditation – Meditation classes offer a variety of approaches to meditation in the Shambhava Yoga™ tradition, including guided silent meditation techniques, kirtan and arati, mantra repetition, and more. By learning different methods to quiet the mind and connect inside, you become empowered to use the tools necessary to stay open and grounded within the ever-evolving arena of your life. Yoga – Shambhava Yoga™ Asana begins with a strong foundation in body awareness and alignment, then moves deeper, allowing you to explore your own personal experience of yoga through inner focus and surrender. Creative hatha and vinyasa approaches make this practice available for beginner through advanced level practitioners. Satsang – Satsang is a traditional practice of being in the company of good, or true, people. 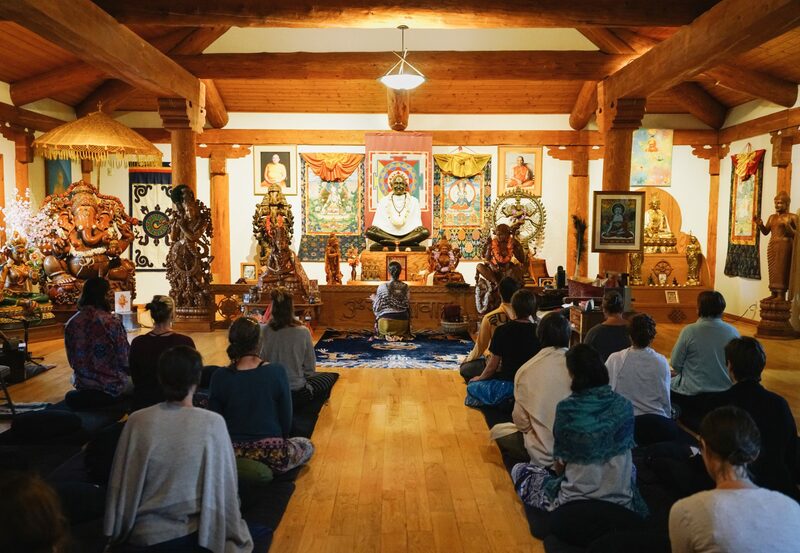 Daily satsang with one of our senior meditation teachers is a time to ask questions about your own spiritual practice and experiences, or learn more about Shoshoni and the Shambhava Yoga™ tradition. Guru Gita – The Guru Gita is a beautiful hour-long chanting meditation that draws on the power and vibration of the Sanskrit language to purify the mind. Sing aloud alongside the harmonium as it plays out the meditative melody of the verses, or follow along quietly. Attendees receive a chanting book that includes the Sanskrit text, transliteration, and full translation of the practice. Yajna Fire Ceremony – Yajna is the ancient yogic practice of offering mantras and masala (a special rice mixture) into a sacred fire. This practice has been used for thousands of years as a catalyst for change and growth; it helps purify emotions, burns up unresolved conflict and worries, and leaves us feeling lighter and more free inside. 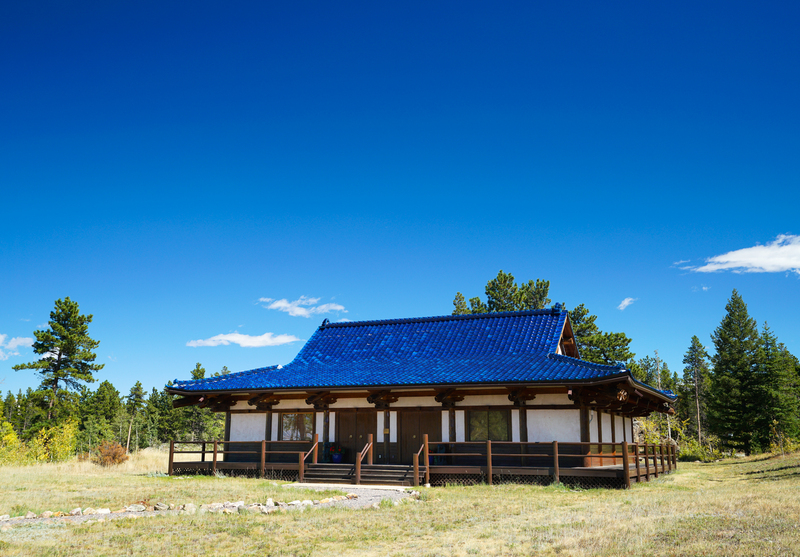 The scenery is gorgeous with hiking all around, staff is excellent, the food is delicious, the temples are beautiful, the yoga is great and relaxing, and the cabins are clean and nice. I always feel so peaceful there and the meditation is wonderful. It’s a very spiritual place and wonderful for decompressing from city life and for getting back to your true self.